I've prepared a new card in gold. The main gold background is made from Snowflake Toppers. Merry Christmas, I cut using a die from Holly Jolly. Under a bow is a beautiful snowflake from Yuletide Snowflakes. To decorate my bow I've cut a little snowflake and a bell using some dies from Charming Snowflake Doily. 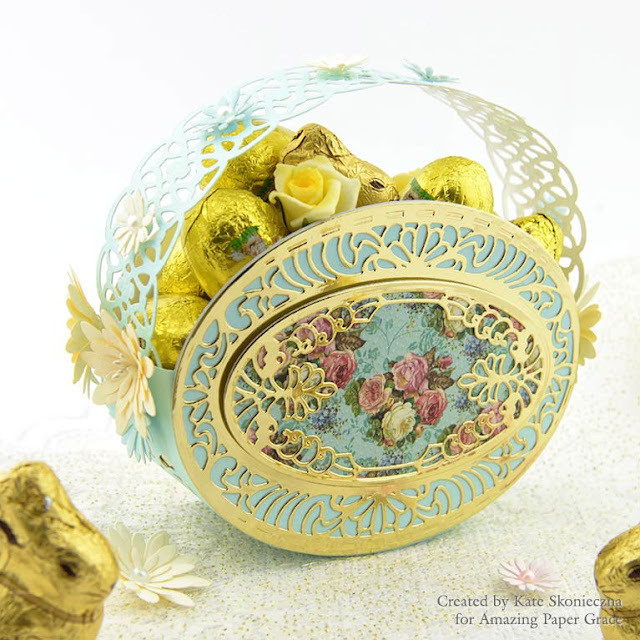 Little flowers I've made using Isadora Trinkets die from Venise Lace Collection. I'm going to show you how I've made a very simple exploding box for a baby boy. This picture shows the box closed. I used a paper with delicate, blue and white strips to cover outside box. To decorate the lid and inside I used a light blue paper with white dots. On the outside walls, I put the same shape of two layers of paper with a small wooden flower. This picture shows the box open with the lid in the top right corner. In the centre, I've put the circles paper with flowers and two butterflies on them. Thanks for visiting …and have a nice the rest of your weekend! to prepare some Christmas cards. 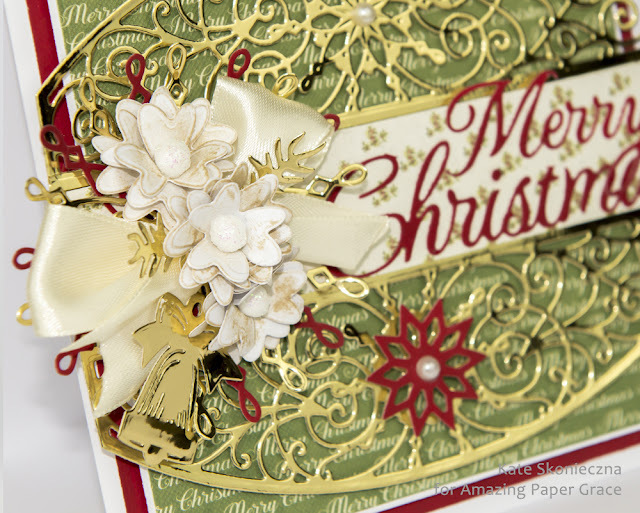 I'd like to share with my first Christmas card from new Charming Christmas Collection. I cut a big frame from a white and pearl paper and put them together in a little distance. I added a white smaller frame. The background is made from a silver, glitter paper. The Merry Christmas sentiment is made from the same paper. It looks amazing when the light is on. Christmas is coming so it is time to start to prepare some Christmas cards and tags. This tag is for a 4-year-old girl. Thank you so much for spending a moment with me today!